The past few years projects that include broken crayon pieces have been winding up everywhere- and why not? If you have kids that are hard on your crayons as much as mine are, you can go through a box of these every few weeks. Our arts and crafts projects are already on the high end when it comes to how much we spend being creative, so anything we can do to keep that expense down and include additional usage, I call that a win! 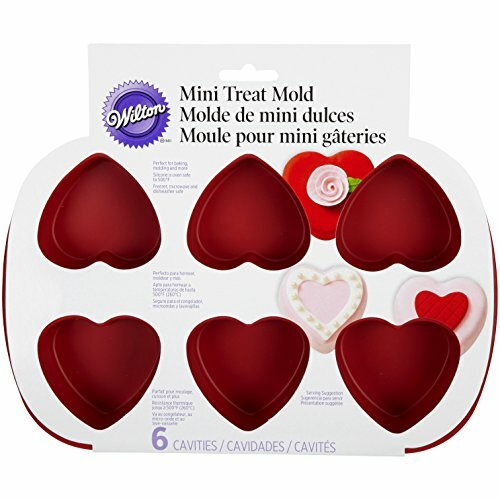 Aside from using this idea for your every day reduce, reuse, recycle efforts, its that time of year again- VALENTINES DAY and who doesn’t love passing out something useful and other than candy? Not kids that is for sure- but PARENTS do. 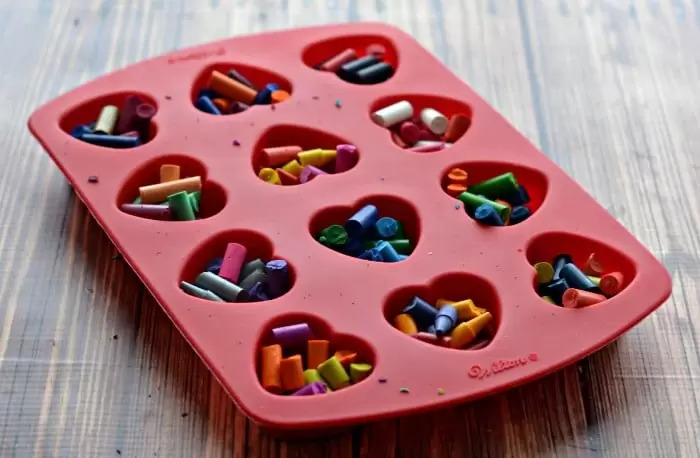 You can create these adorable DIY Crayon Hearts right from a silicon mold and combined with some homemade love, pass out a pretty, usable, and homemade heart in those boxes. STEP 1 – Preheat the oven to 250 degrees F. Before you start you will need to make sure the paper is off the crayons. 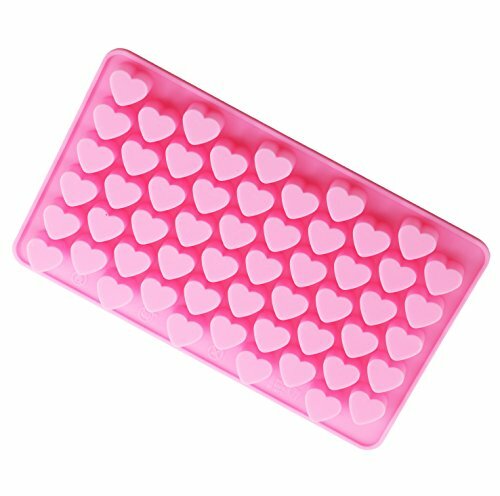 If you are already using broken ones, awesome, but if you are starting fresh, the easiest way is to place them in a bowl of warm water and the paper will peel right off after a little soak. 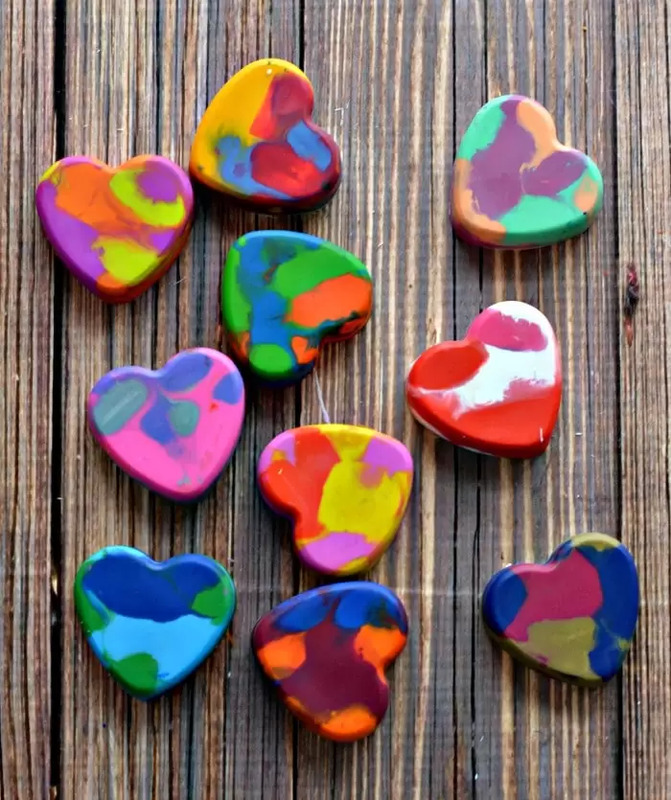 Towel dry the crayons, break them into small chunks and fill each heart mold with different colors of crayon pieces. Unless you are OCD and want to separate them- that choice is totally yours. 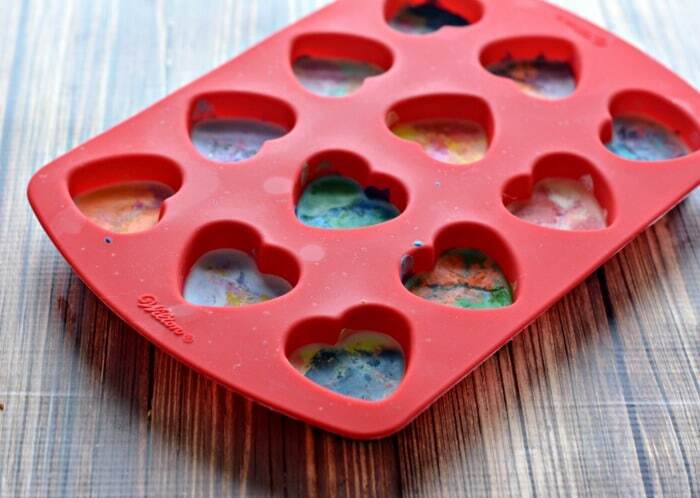 STEP 2 – Place the mold full of crayons on a baking sheet and bake for 20 minutes until they are melted all the way. I love silicon molds because of how easy they are to remove things out of. 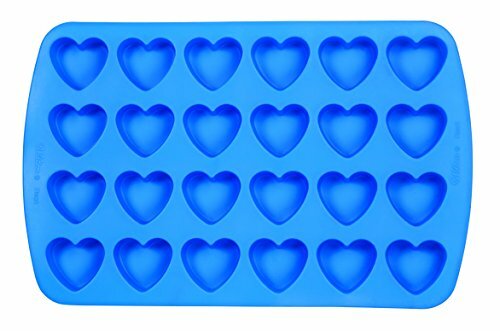 I used these same heart molds to create frozen applesauce last year- really they are very flexible! Remove the pan from the oven to cool. 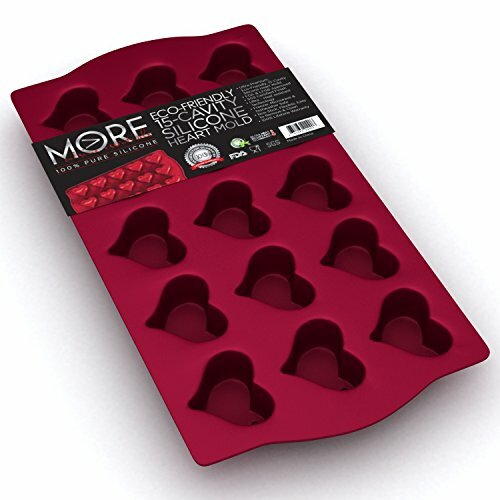 If you are super impatient, you can place them in the freezer to cool in as little as 15 minutes. 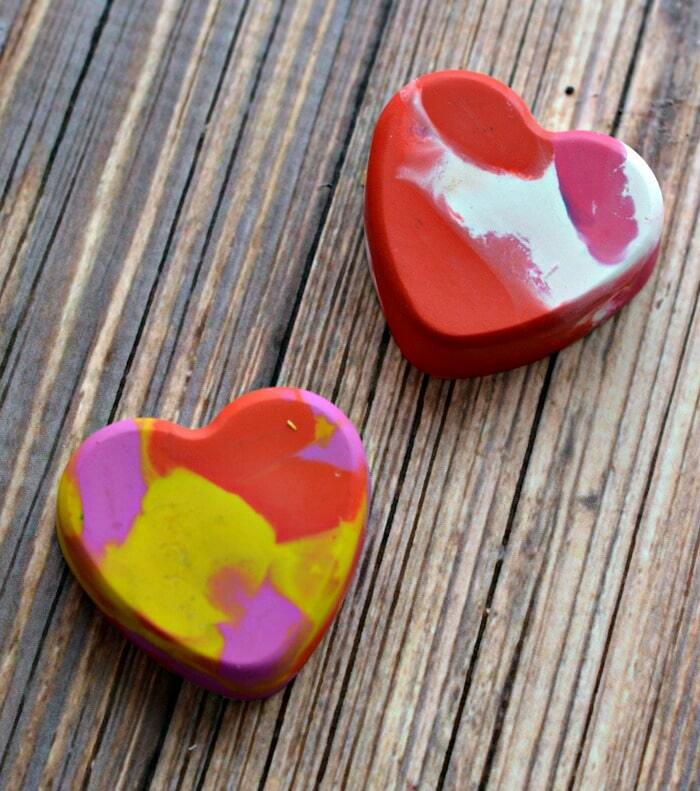 STEP 3 – Pop the heart shaped crayons right out of the mold and set aside. 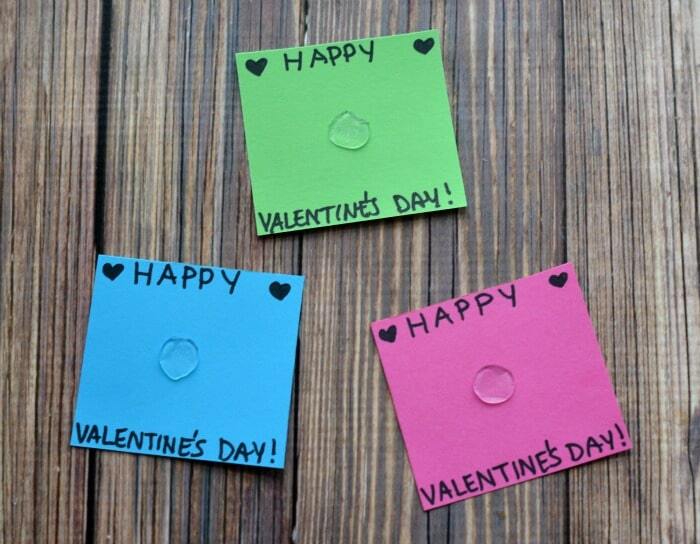 STEP 4 – To make some homemade Valentine’s Day cards, you can cut card stock into small squares, circles or even hearts. I have a Silhouette so that works too! STEP 5 – Write a Valentine’s Day message on each card, leaving space for the crayon. The little Zots sticky dot can go in the center, which helps secure the crayon. 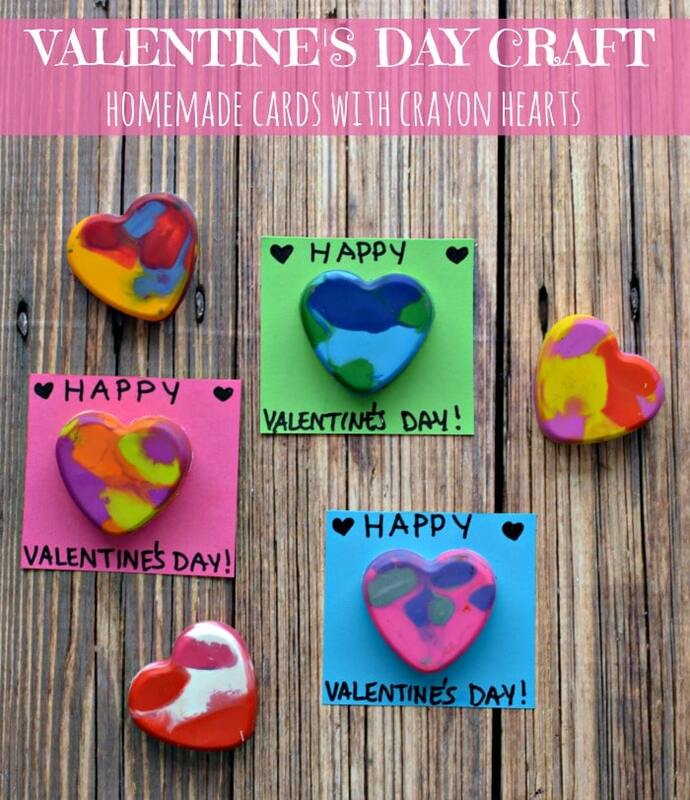 STEP 6 – Press the heart crayon onto the Zots dot and these fun little Valentine’s Day cards are ready to share! VOILA! 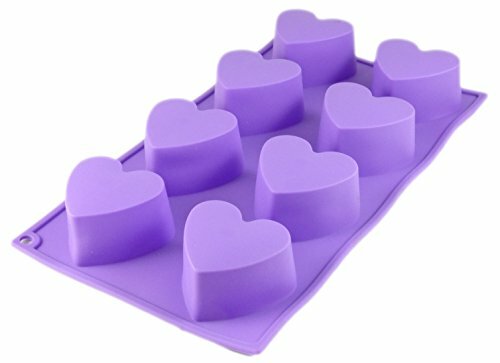 Need different size molds? Try one of these! Wow what a fun craft idea. This looks to be as much fun for adults as children. Thanks for linking up and sharing. 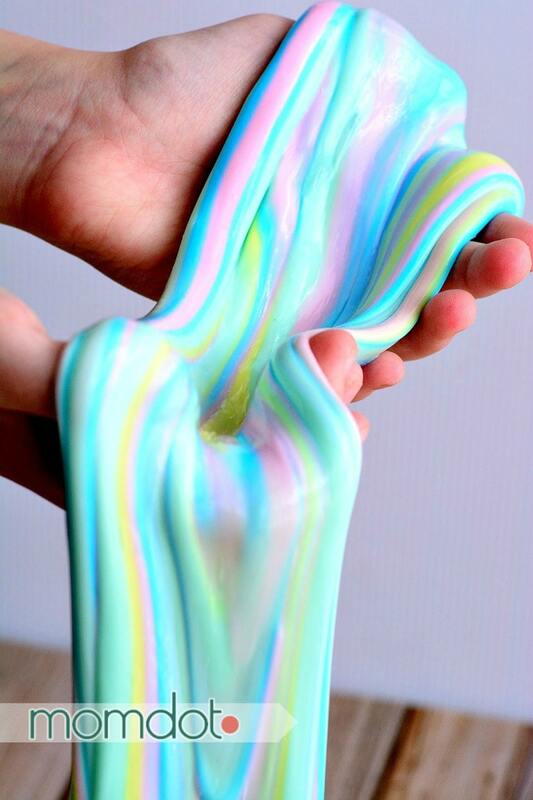 I love this idea… so doing it with my kids at school.